I usually get my trash bags at Costco, but I was in the trash bag aisle at Walmart last week when all of the sudden I had a headache. It was the kind of headache I usually get when I go by the Yankee Candle shop or Bath & Body Works at the mall. Yep, it was an artificial-fragrance induced headache. I’ve never had one of those in the trash bag aisle before. 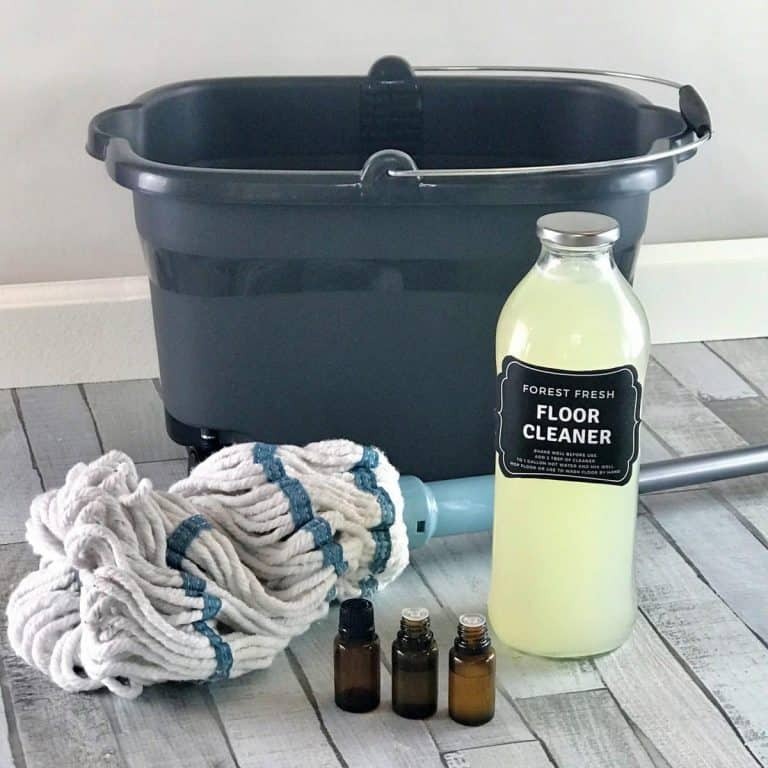 But when I looked around, I quickly saw why I was feeling so horrible – pretty much every bag and box of trash bags from floor to the very top shelf was marketing some kind of artificial, toxic, unnatural scent. There was linen scented, “lavender”, tropical, “rose”, and “citrus”. There were even laundry-detergent scented trash bags. The smells were toxic and even a quick walk down the aisle gave me a headache and a slight nauseous feeling. I can only imagine how I would feel if they were in my home every day. I’m so glad that I have great natural alternatives to these store-bought, perfume filled bags. 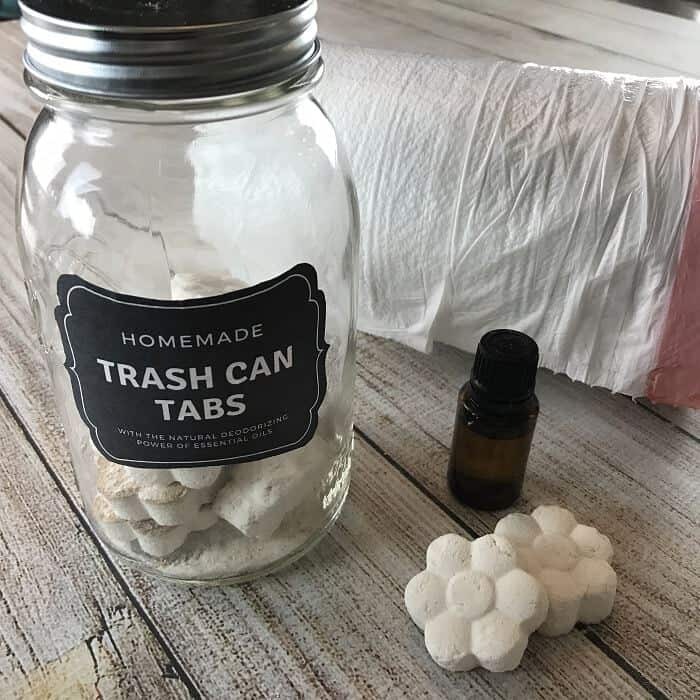 It only takes a couple minutes and a few common ingredients to whip up a batch of my all-natural homemade trashcan deodorizer tabs. 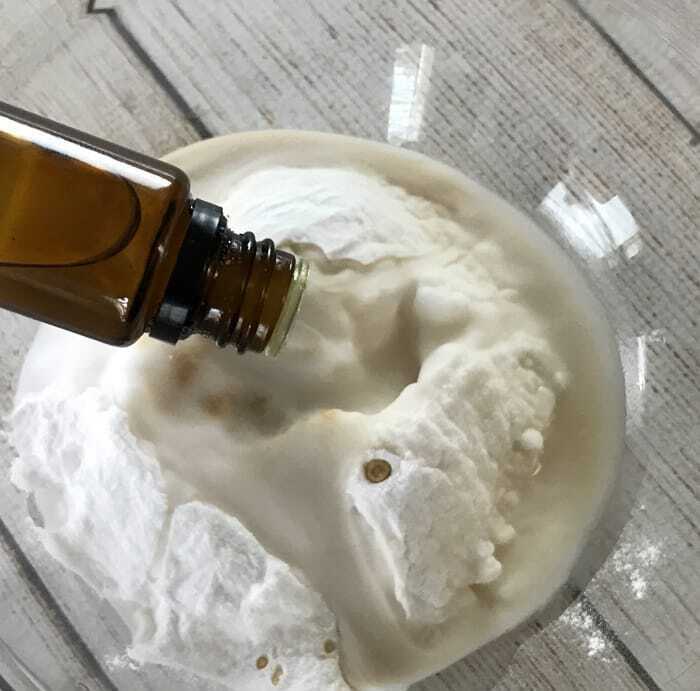 Using the power of baking soda and essential oils, they naturally eliminate odors instead of just covering them up with heavy perfumes. 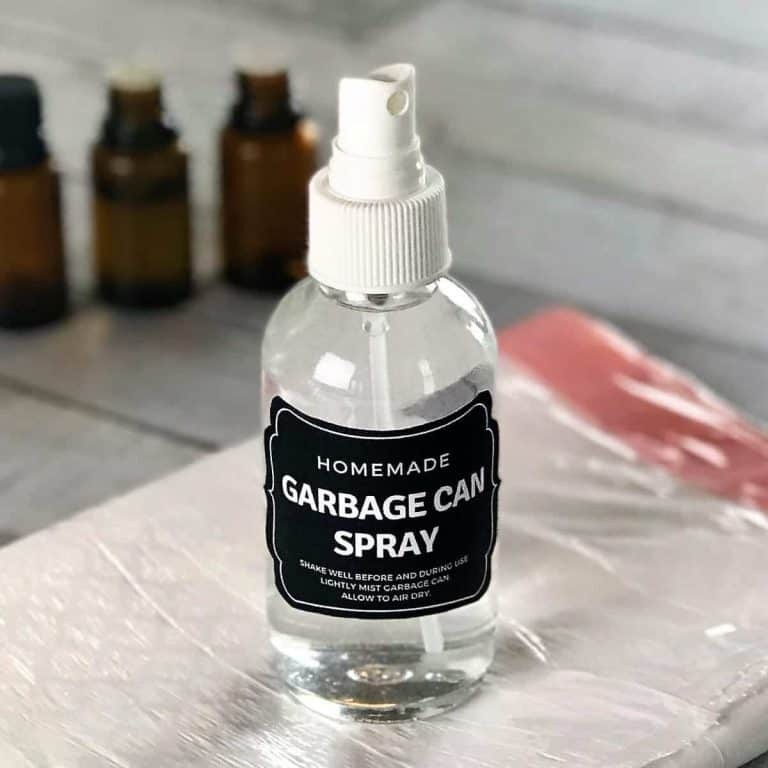 I just drop one or two in the bottom of each trash can around my home and they freshen and absorb the stinky, smelly odors from my family’s trash. They work great in the kitchen garbage can but also the bathroom wastebaskets, bedroom trash baskets, the laundry room garbage can, and the trash bin in my office. What do trash can deodorizing tabs do? 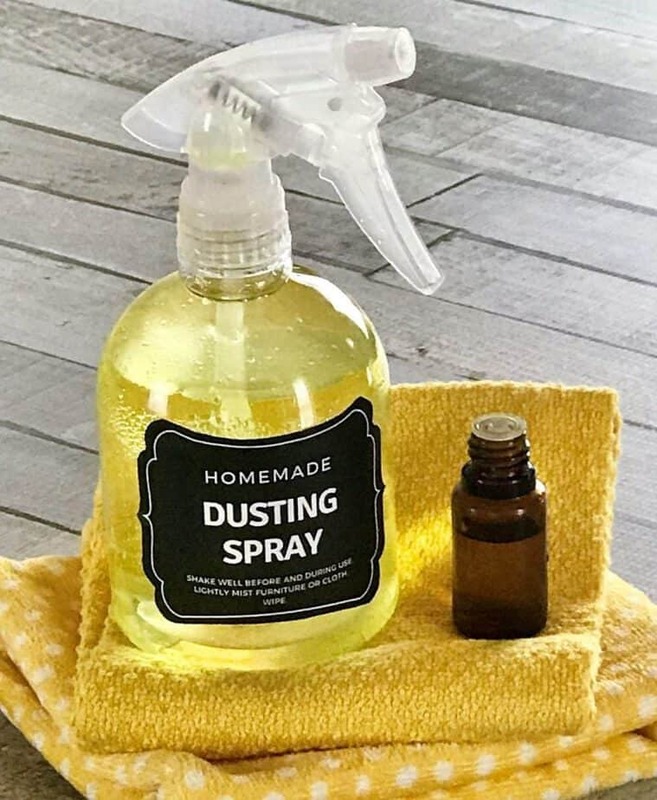 keep your home smelling great! 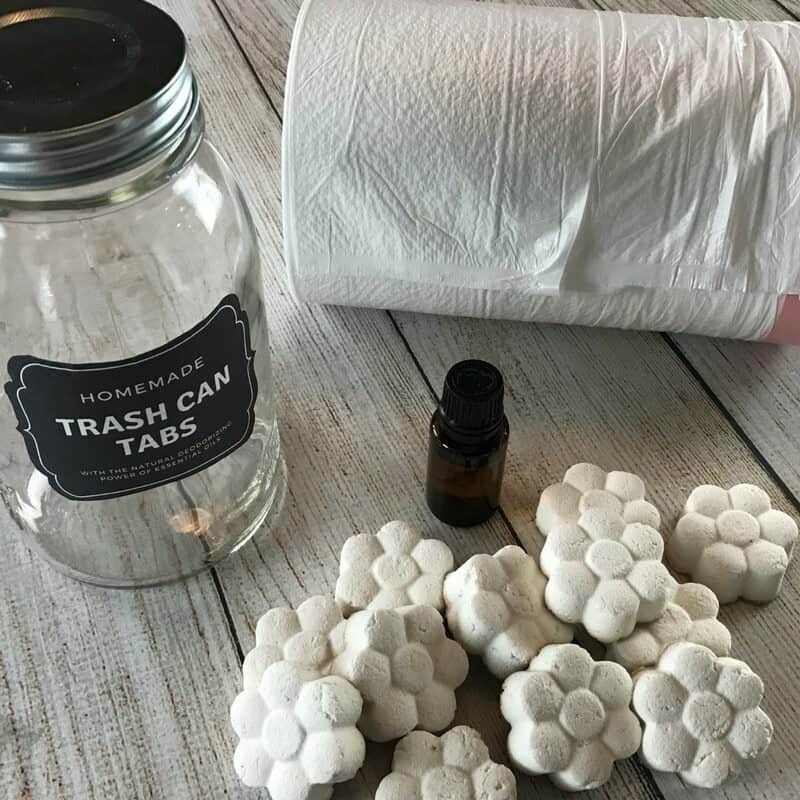 What’s in these homemade trash can deodorizing tabs? 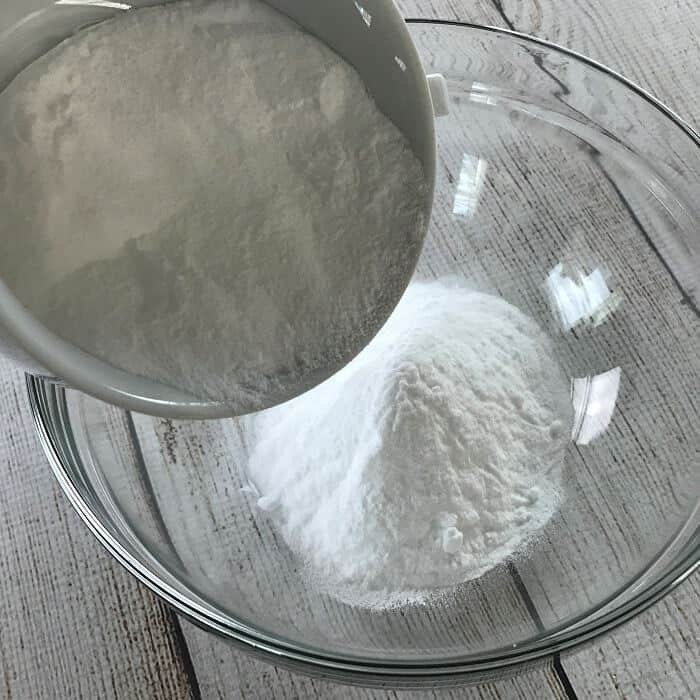 baking soda – A great natural odor eliminator. Baking soda doesn’t just mask odors, it absorbs them. Baking soda is such a great deodorizer because it’s amphoteric, meaning that it can act as both a base and an acid. 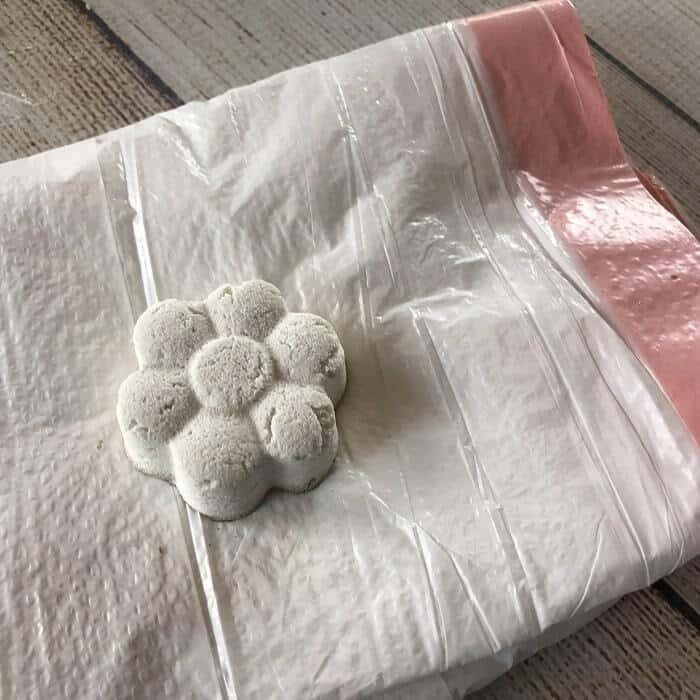 So no matter if the stinky smells in your garbage are caused by bases (like fruits, veggies, garlic) or acids (like cheese, vinegar), the baking soda in these deodorizing tabs will attract those odors, absorb them, and neutralize the unpleasant smell. 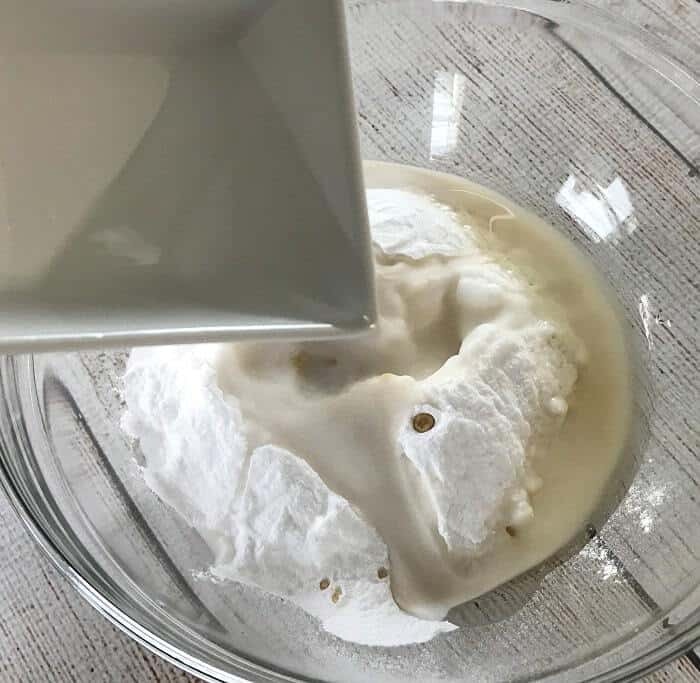 vanilla extract – Vanilla extract is great for quickly freshening up my home. 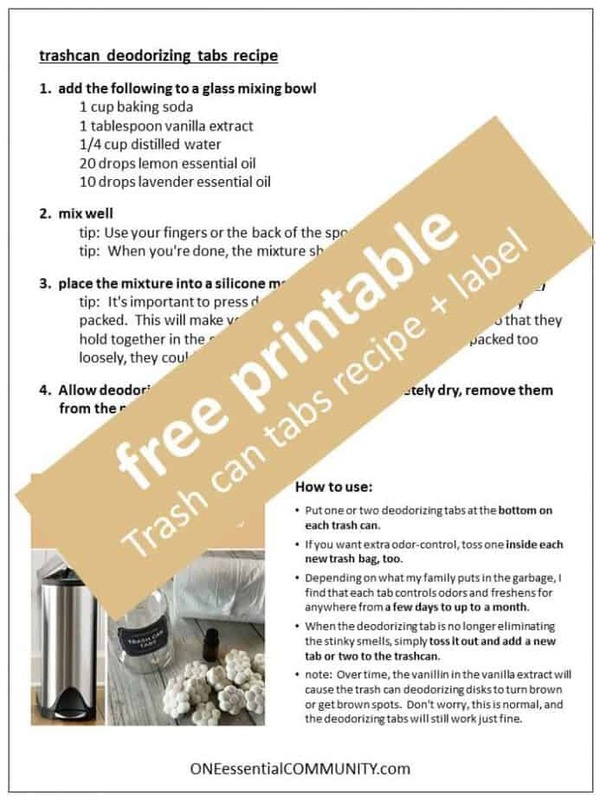 In addition to these trashcan deodorizing tabs, I use vanilla extract to get rid of stinky, smelly odors around my home by (1) warming a couple capfuls of vanilla extract in heat-proof mug or bowl in a 300 degree oven, (2) put a few drops on a cotton ball and toss it wherever I’ve got an odor problem, or (3) add to an essential oil room freshening spray like these. 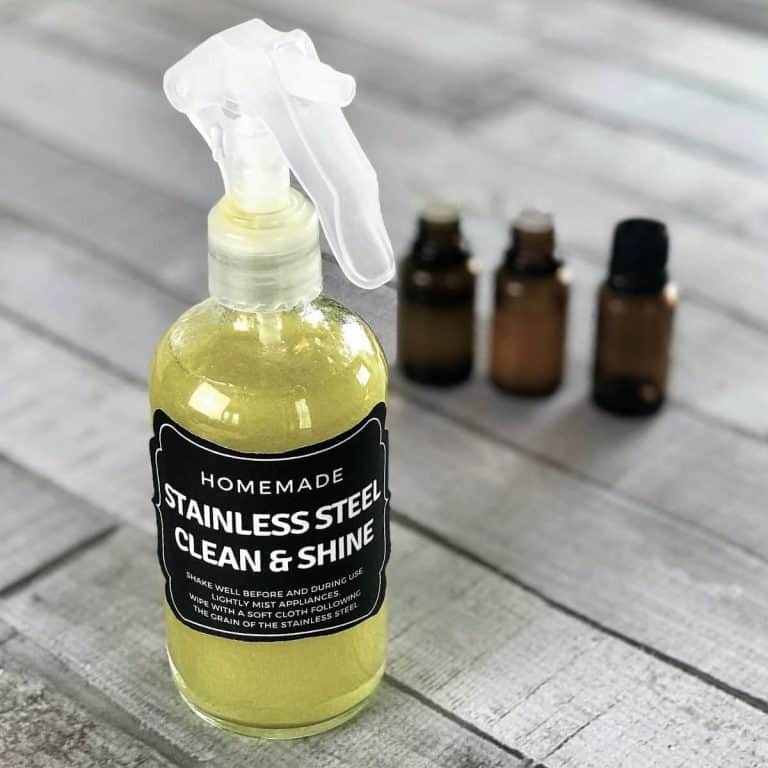 lemon essential oil – The antiseptic and antibacterial properties of lemon essential oil combined with its great fresh scent, make it a wonderful natural odor eliminator. 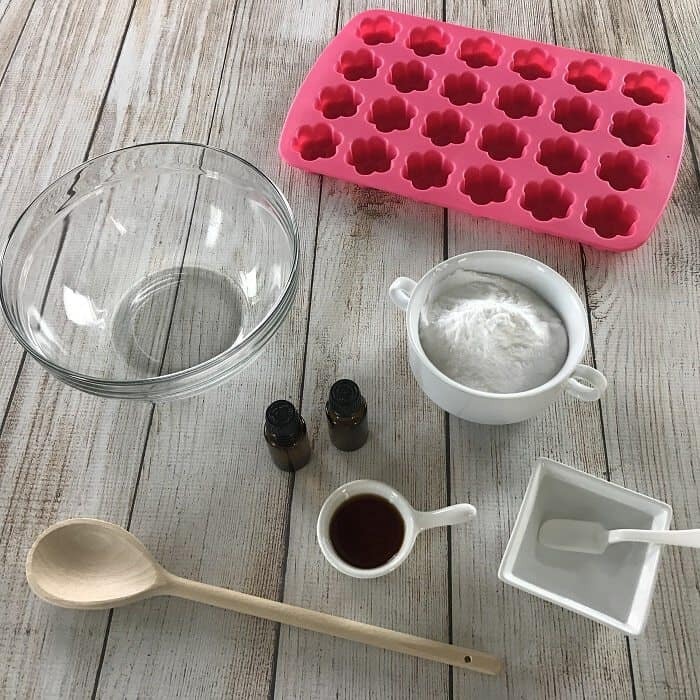 lavender essential oil – Lavender essential oil smells great on its own, but when combined with vanilla and lemon, it has an amazing, fresh, clean scent. 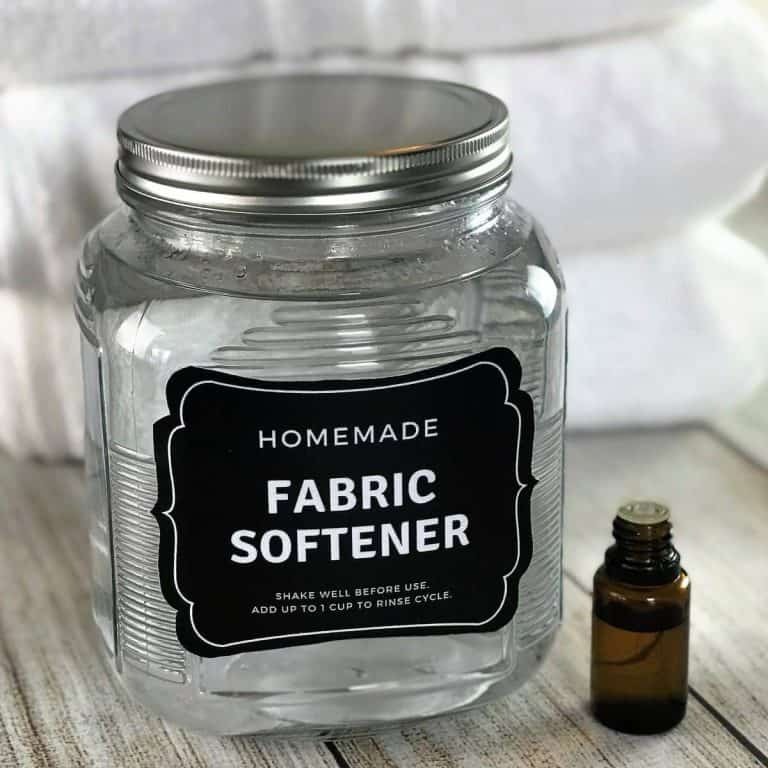 And even better than just smelling great, lavender essential oil has antibacterial properties so it helps eliminate stinky, smelly odors by killing off the source of the odors. distilled water – Distilled water helps bind everything together so that they can be formed into convenient tabs. Use distilled water or filtered water that’s been boiled and cooled to help these tabs have a long shelf life. How to make trashcan deodorizing tabs that freshen & eliminate stinky garbage odors? tip: If you don’t have distilled water, you can use filtered water that’s been boiled and cooled. 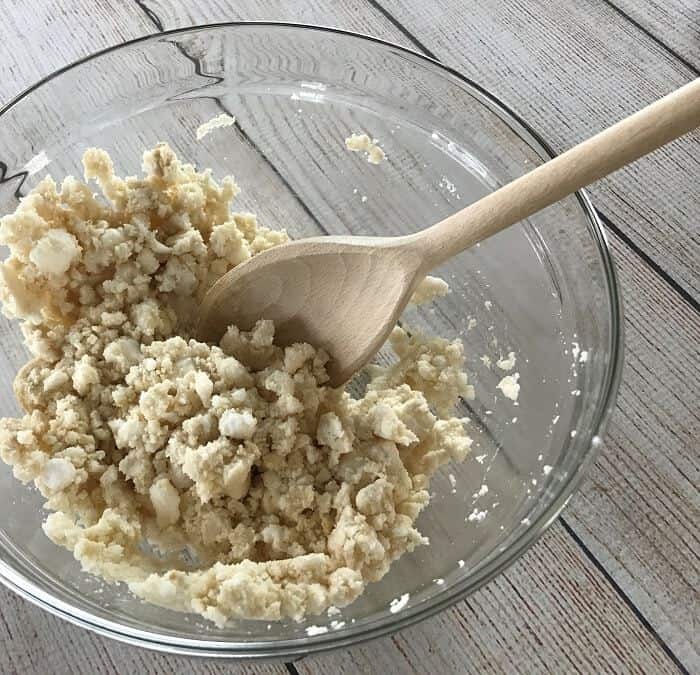 tip: When you’re done, the mixture should look like cookie dough. 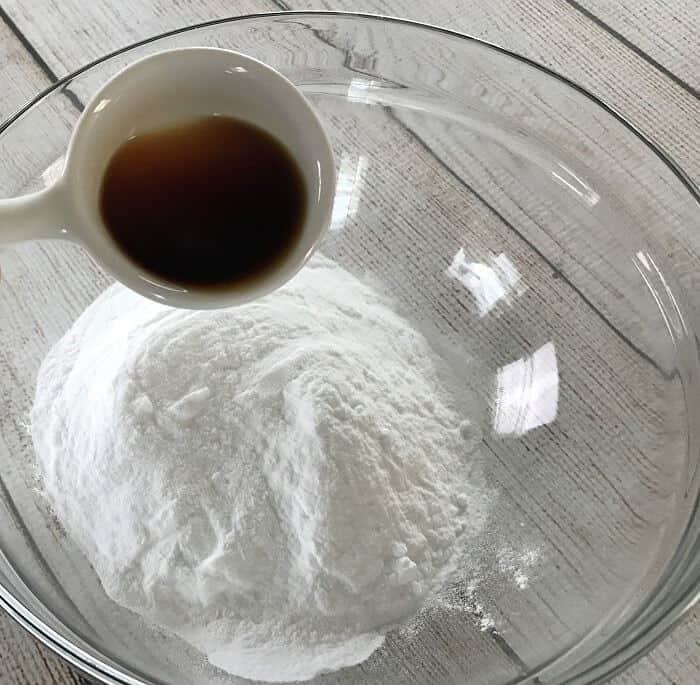 tip: If it’s too wet, add a little more baking soda. If it’s too dry, add a few drops more water. tip: It’s important to press down firmly so that the mixture gets tightly packed. 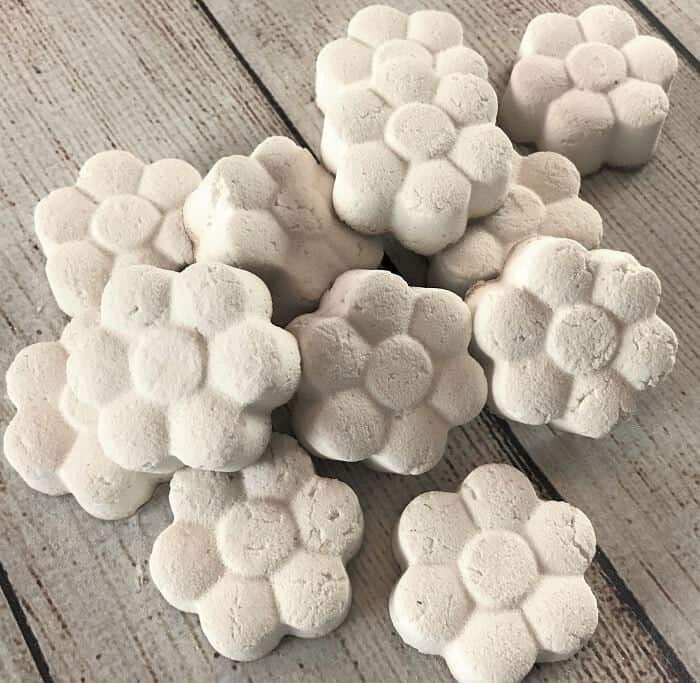 This will make your deodorizing tabs much more sturdy so that they hold together in the storage container and in the trashcan. If packed too loosely, they could be fragile and fall apart. 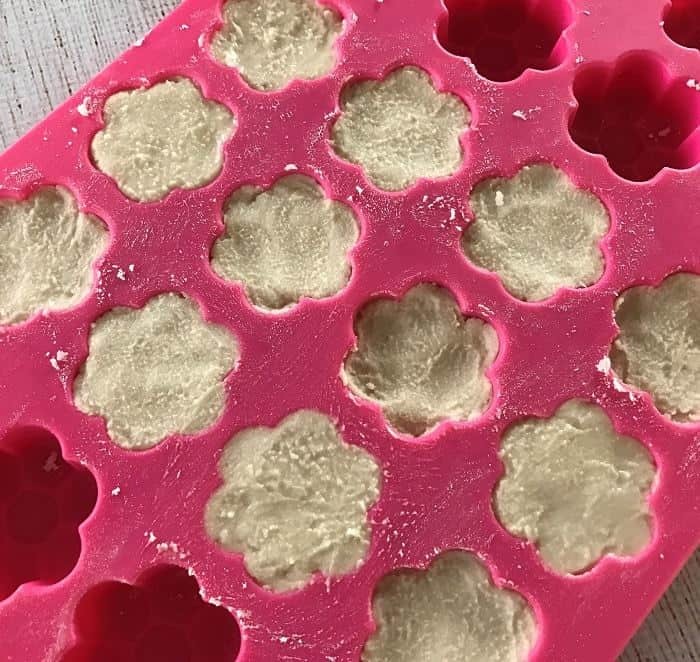 step 8: Allow deodorizing tabs to dry overnight. tip: Do not remove from mold before they are completely dry. If you do, they will fall apart. tip: If you live in a humid climate, it could take them 2-3 days to dry completely. In really humid climates, you may need to run a dehumidifier to get the air dry enough. step 9: Once completely dry, remove them from the mold and store in airtight container. 4. 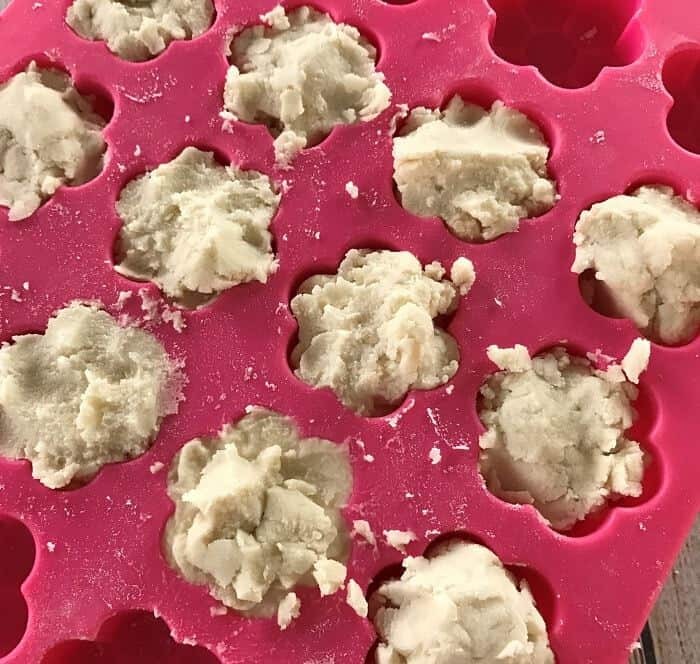 Allow deodorizing tabs to dry overnight. 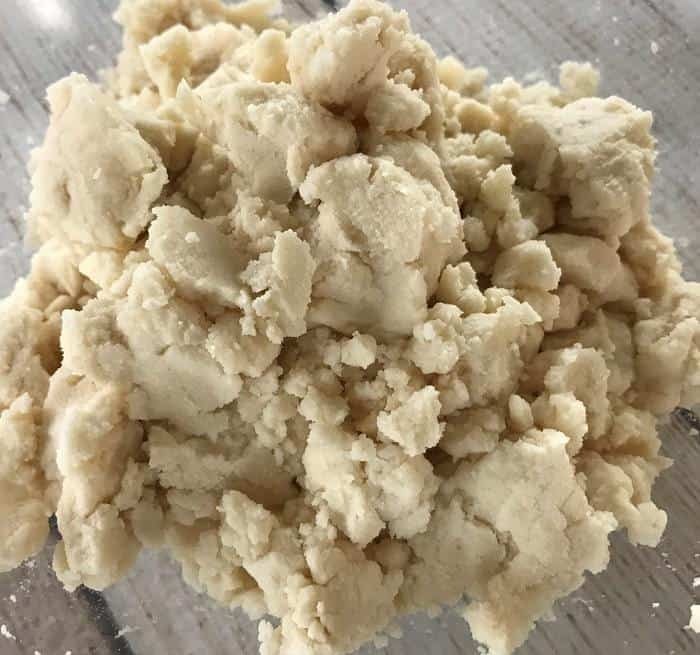 Once completely dry, remove them from the mold and store in airtight container. Put one or two deodorizing tabs at the bottom on each trash can. 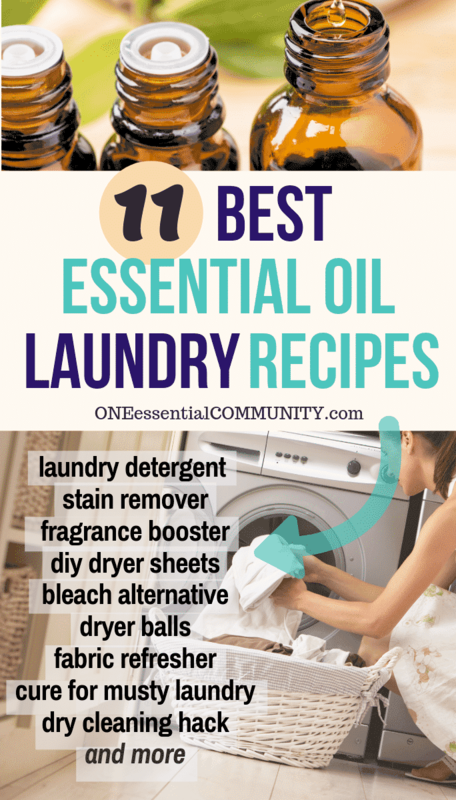 If you want extra odor-control, toss one inside each new trash bag, too. Depending on what my family puts in the garbage, I find that each tab controls odors and freshens for anywhere from a few days to up to a month. 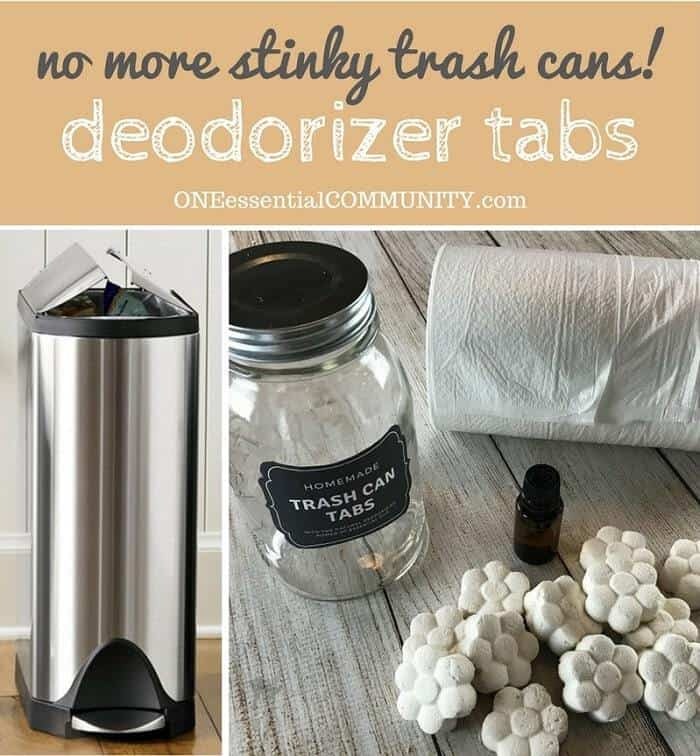 When the deodorizing tab is no longer eliminating the stinky smells, simply toss it out and add a new tab or two to the trashcan. note: Over time, the vanillin in the vanilla extract will cause the trash can deodorizing disks to turn brown or get brown spots. Don’t worry, this is normal, and the deodorizing tabs will still work just fine.